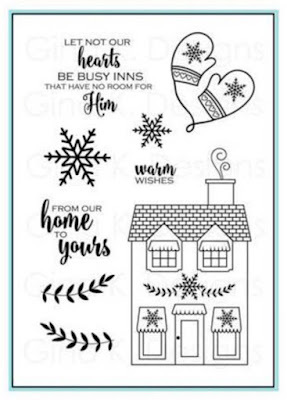 The Cast and Crew for Gina K Designs welcomes you to another fabulous blog hop featuring the new Home for the Holidays Stamp TV Kit and a number of gorgeous stamp sets by our illustrator team! We hope to inspire you with some beautiful card projects as you hop along to each of the designer's blogs! Today, the team is featuring stamp sets from the Kit and the new 'Tis the Sea-Sun stamp set. Enjoy the gorgeous inspiration samples from the team and then comment on each blog for your chance to win a $20 Gina K Designs gift certificate! To see who won, check the Big News Forum at Stamp TV a few days after the hop. 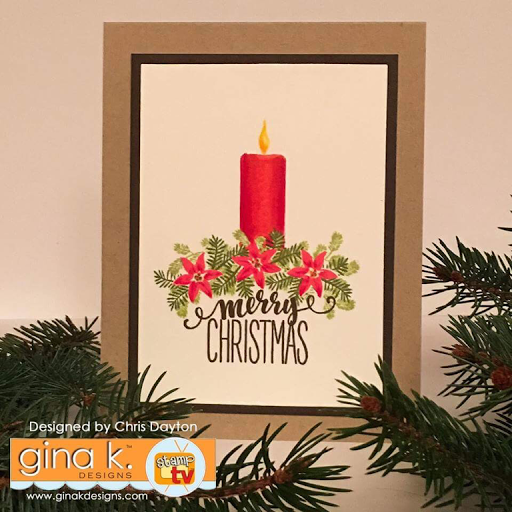 "It's beginning to look a lot like Christmas" at Gina K Designs! 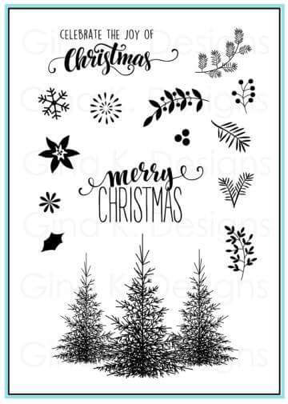 Gina K and the illustrator team have been extremely busy preparing the most fun stamp sets with a variety of images and sentiments to make so many incredible cards and holiday projects. 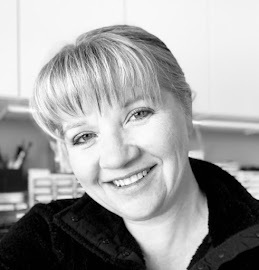 I am a thrilled to be participating in today's blog hop as a new member of the design team. What a month to begin! This release is amazing. 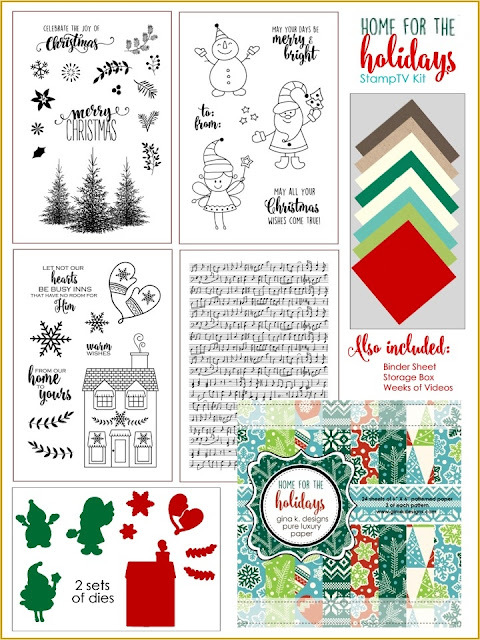 Today, I am featuring two of the stamp sets from the new Stamp TV kit, Home For The Holidays. SO much loveliness in this kit! I love it all. My first card uses a few of the small images from the Christmas Greenery set, designed by Gina K.
I stamped my sentiment in Charcoal Brown ink onto a heavy weight Ivory panel. I then stamped three of the tiny poinsettia images in Lipstick ink. I also stamped the poinsettia three times on a piece of Post-it tape, and fussy cut them to use as masks. I placed the tape masks on top of my images on my card panel, and randomly stamped the small pine sprig images first in Jelly Bean Green and again in Fresh Asparagus ink. I removed the masks from my flowers used my colored pencils to add a bit of shading and color to the flower centers. I used a ruler and a pencil to lightly draw in a candle. I used my Copic markers to color the candle, adding a bit of extra detail to the flame with colored pencil. I assembled my card with a Charcoal Brown mat with a Kraft card base. 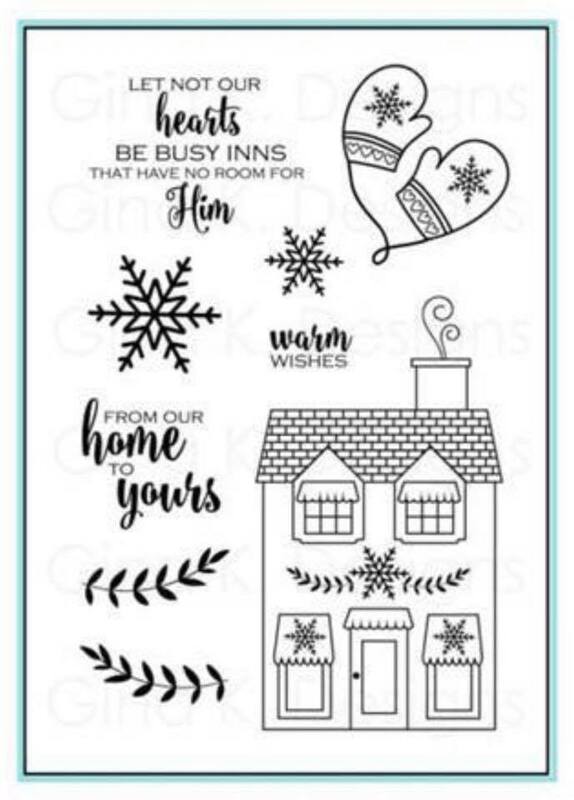 My next project is a tag made with the Home for the Holidays set. I made a folded tag using a 2 1/2" x 5 1/2" piece of heavy weight white cardstock and colored it with Copic Markers. Don't you just love the heavy weight white for Copics? I love how it doesn't bleed through! I made my first ever video to show you how I cut this tag. I know I have lots to learn about filming and editing, but I decided I needed to start somewhere! I hope you enjoy. I'll be back tomorrow for Day Two! The candle wreath design is so inspired, a LOT of people were asking about it at the event!! And that little house tag, eeek! SO cute. Great post. Such great cards Chris!! The wee house tag is so cute! I also love that you did a video!! I have been putting that off forever, go you!! Fabulous projects, Chris! That house tag is amazing!!! I will have to come back later to watch your video (shhh...I'm sneaking in from work!) but I love your candle card and the little house, what a terrific idea to use the little house for a tag!! Can't wait to get my kit, I'd love to copy you!! Congratulations for getting on the team!!! Thanks for the house tag tutorial video! A terrific post and video tutorial !! Loved them. Chris! Great video! I loved it. Thanks for making it because I never would have been able to figure that tag out without it. Now I'm going to have to order that set. Love that candle card as well. Great job on your first video. Love the accent. Love your uses of the new stuff. Great job. Love all of your beautiful work! Congrats again, and great video! Beautiful card and fun tag. The video was great. The candle card jumped right out at me when I was walking around the store this weekend admiring all the wonderful creations. Thanks for providing the great details on how it was made. Love the house tag too and the video on how it was made. I'm looking forward to seeing more of your creations. Beautiful! I like how to give detailed instructions for making your creations. Cat Tails for Christmas. Yeah. Such pretty work! Love your card designs! Great job on drawing and coloring your candle. And your video was good. I would never have thought to mask it off like that before cutting. Thanks for sharing. I will definitely use this tip in the future. 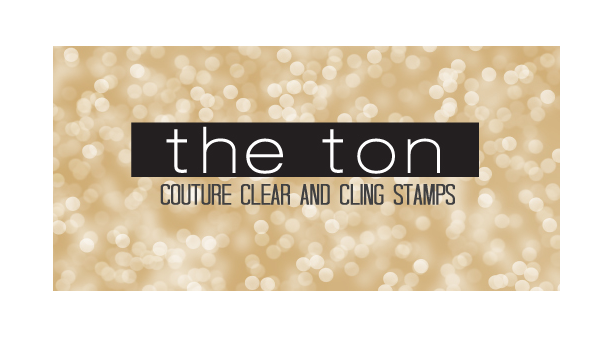 Love your card and tag! Thx for the tutorial. Gorgeous card and cute tag! Thanks for the video. All the cards were beautiful but I especially liked the house card. Oh my goodness! I love your candle card! It is beautiful and I can't believe you drew it! Wow! the gift card is adorable, too! What a clever way to use the house stamp. Cute, cute cards. Love the way you did the house. Thanks for the video. Wow, wonderful projects! The card is so pretty and the house tag is so cute. Thanks for the video explaining how to use the die to make the tag! 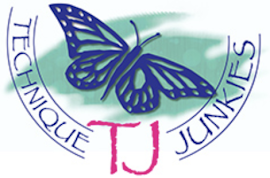 Wonderful projects! I was wondering where the candle came from. Drawing it never occurred to me. Love the house ornament/gift tag idea. Thanks for the video. Love your house tag. And I like how you drew in the candle. 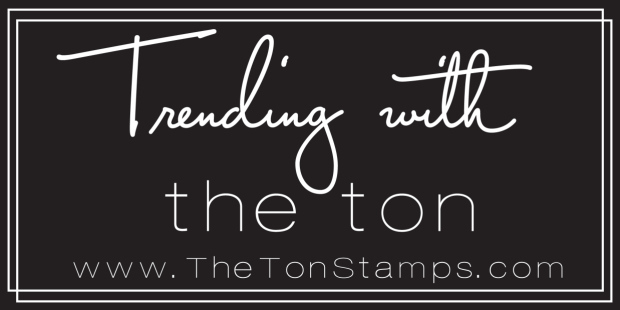 I always think I have to use a stamp or die for everything so this is a good reminder to think outside the box. Love your projects - cards! Thanks for the video! I love your work. The candle card is very elegant! Fabulous projects Chris! Love the gift tag and thanks for sharing your video. Fabulous projects, Chris! I LOVE the house shaped tag...thank you so much for the great tutorial! thanks for the video! Love the candle - what a beautiful card! Love the house tag. Great first video. I am totally smitten with your house tag!! You did a wonderful job on your video, I would never have guessed it was your first :). I'm looking forward to your next one. Happy Holidays! The house tag is so cute! Love it! Loved your card idea and tag. Thanks for showing the how to video. Such great cards! Welcome to the team!!! What amazingly beautiful cards you made. I really like both of them. And, welcome to the Gina team. I just love the "house" stamp and die! Great Stamp TV kit -- colors, characters, and sentiments! Love this tag idea! And I have to say, you did a wonderful job on this video! Great speed, to the point, no distractions, perfect! Keep them coming! Really liking your candle card. That stamp set is so versatile! I really LOVED your video about the partial die cutting. Because of you, I will probably order the kit! Now that you've made this first video, I hope you will keep making them. It was just marvelous! Wonderful tag and die cutting tutorial. You rock!! I totally loving your video! Awesome creations! And so tickled to have you on our team! Looking forward to many more releases with you! Your house tag is SO cute! I am going to try the technique tonight! And your video was great too, btw. Love that tag. Thanks so much for sharing the video, it makes life easier when you can see how its done!! Lovely candle card and love the tag design. The house stamp is really growing on me. Thanks for sharing your terrific cards! Very nice... 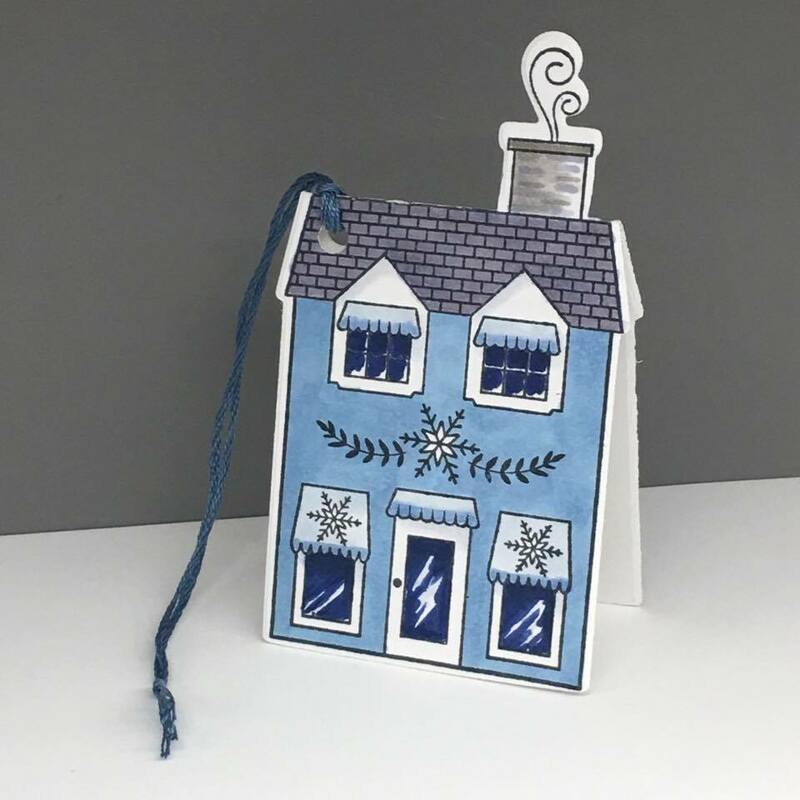 I love the blue house as a a gift tag or a card. Wow, you rocked these cards! I'm completely in love with how you used the greenery set! Welcome to the team. You made some great cards but I especially like the little house tag you made. Love shaped cards like that. Love the old fashioned vibe of your Merry Christmas card. Thanks for giving us a lesson on partial die cutting. Gorgeous cards and excellent video! I'm so proud of you! Super cute tag and your video was excellent! That house stamp and die make a perfect holiday tag, thanks for the great inspiration. Neat cards but that tag was pure genius! Nice. I LOVE LOVE LOVE THAT TAG! Keep up the videos, it was great! Awesome cards. Sheesh! Oh I just ADORE that tag--soooooo clever!!! Welcome again to the team!!! Your cards and tag are so festive...way to go! These cards are gorgeous. And so is that TAG!! I really appreciate your video showing how to cut the chimney part of the tag. I have to say...I subscribed to your YouTube channel praying you make more videos. I love, love your coloring and creations. Love that tag! I always have trouble making houses look good. Yours is fantastic! Love the traditional Christmas candle. 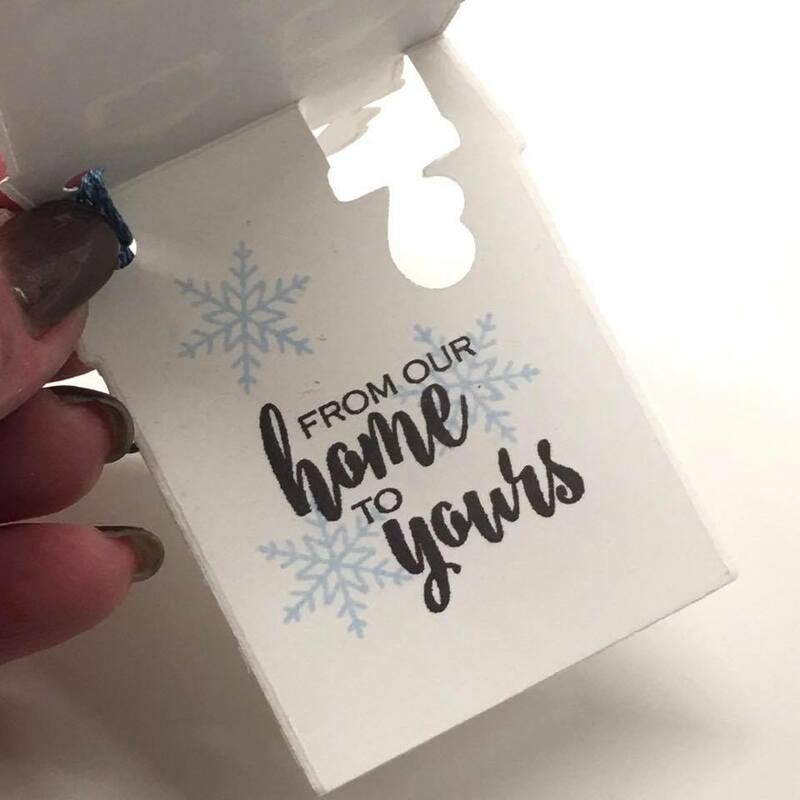 The home gift tag is super cute. Hi Chris, so glad I found your blog and am joining in this hop. I really like you candle card. Thanks for explaining how you created it. The tag is terrific, too. Congrat on your first video! Very clear and easy to follow directions. Love your cards. Thanks for sharing how you created the house card. I can't wait to try it. Beautiful! I'll have to come back and watch the video!